Bleed Ring - Similar to a Spacer Ring (no handle); a Bleed Ring is a ring section with one or more radial pipe connections. A Bleed Ring fits inside the bolt circle between two standard flanges connecting to a valve or instrument. Used to relieve pressure or drain fluids. Available in Raised Face or RTJ Styles. 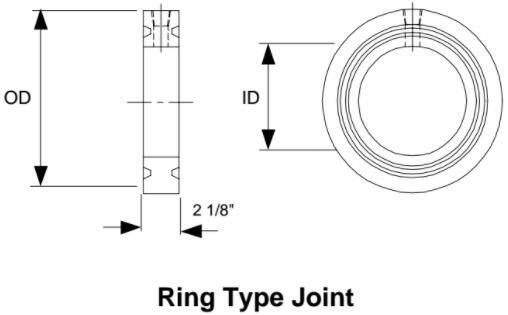 A bleed ring is a ring section with one or more radial pipe connections designed to fit between standard flanges within the bolt circle, using conventional gasket material. The ring normally comes with a 3/4" tapped or 1/2" socket weld for connecting with valves and instruments. The face of the ring can also be made to matched with any flange type. 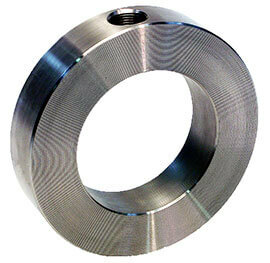 A bleed ring has different sizes based on the ANSI flange rating of the process piping. A bleed ring can be used instead of an Orifice Flange union. It is easier to install and cheaper than installing orifice flanges, especially in a brown field application. It comes in many different materials such as carbon steel, stainless steel, alloy st, ect., depending on the use. They provide a convenient way of draining piping, taking samples, attaching instruments or even bleeding of a valve. When used with a valve and Blind Flange, it allows you to relieve the pressure if your valve is leaking before you remove the flange. China Bleed Ring Manufacturer Yaang offers ASME B16.5 ASTM B366 Hastelloy B3 Ring Type Joint Bleed Ring. Octagonal ring on Male RTJ's, unless oval is specified. 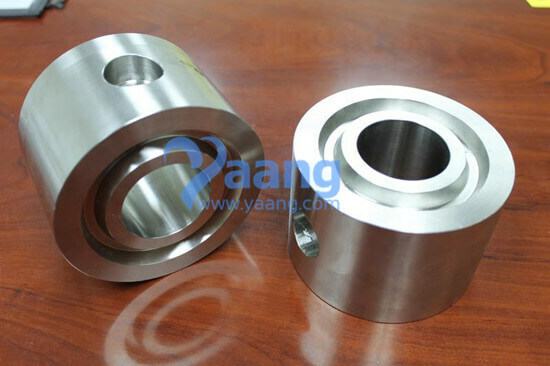 Yaang manufacture Drip Ring RJ and FF-RF (Class 150/300/600/900/1500/2500) with one hole 3/4" NPT or two holes 1/2" NPT in according to standard TB.DRI 5011 and in according to special customer's requirements. Where can we find the high quality ASME B16.5 ASTM B366 Hastelloy B3 Ring Type Joint Bleed Ring 3 Inch CL2500.